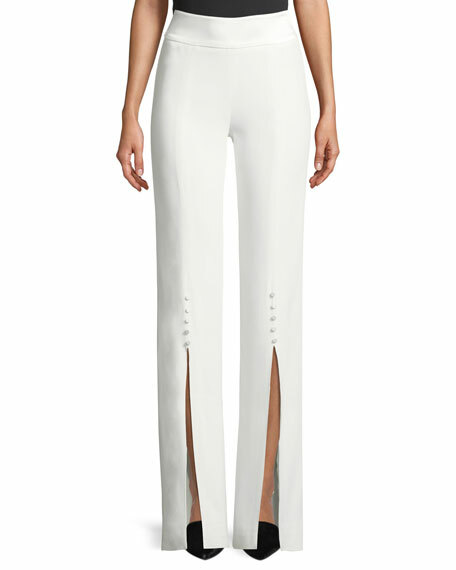 Jonathan Simkhai pants in deconstructed satin-back crepe. 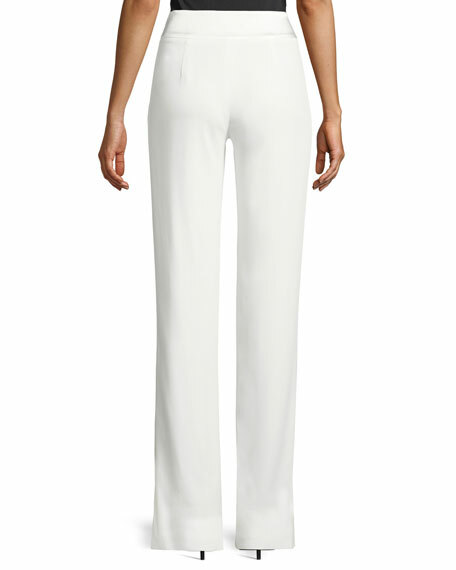 Front hem slit with button trim. For in-store inquiries, use sku #2479002.